It has been a busy time around here, as I finally got a contractor signed for my master bathroom remodel project. I've been running around selecting and ordering fixtures and finishes. Supplies are starting to be delivered, and work is scheduled to start today. For posterity, here is the state of the room before construction. 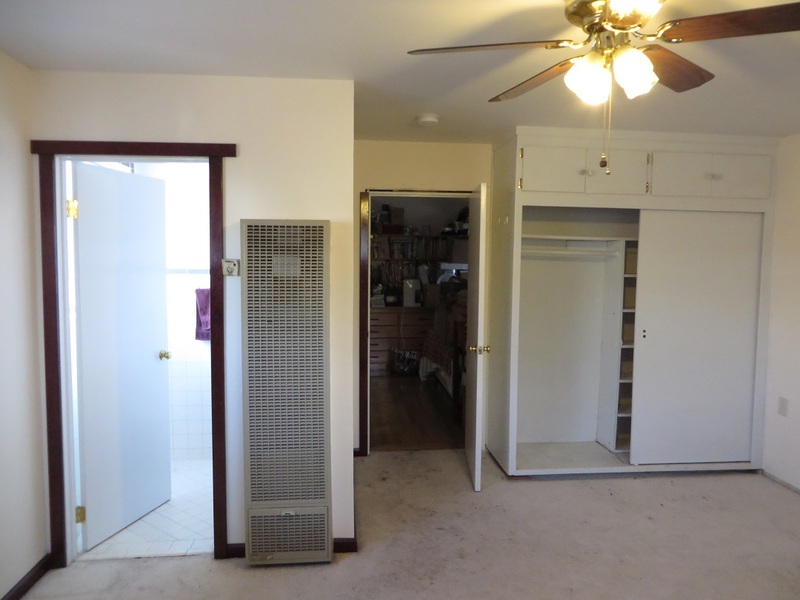 I originally wanted to enlarge the existing half bath, but that wall-mounted gas heater would make any expansion tricky, because I can't just remove it due to building codes. Instead, I'll have the bathroom gutted and converted into a closet. Then the existing closet will be removed and replaced with a new, larger bathroom with an added shower. There's not much other news. Things are sprouting out in the garden. The peas are beginning to recover from the early slug attacks, so I might actually get something from them this year, albeit delayed. The potted squash and cabbages are putting out their first leaves, so they're on track for transplanting in early May. The raspberry is starting to send up canes outside its bed, so I'll have to go through and pull all the extra ones before it gets out of control.